Windy Hill Resort "Our Belize Vacation" - "Our Belize Vacation"
Windy Hill Resort is located in the foothills of the Maya Mountains, the most diverse area of Belize. This beautiful resort provides all the modern conveniences in a lush tropical setting and just minutes from the archaeological sites, rivers, caves and other attractions that visitors come to see and experience in Belize. After a busy day of trekking around the Maya temples, canoeing or tubing through the caves, hiking through the rainforest, or horseback riding along jungle trails, you will enjoy the relaxed atmosphere and the amenities of Windy Hill." Windy Hill Resort is located in the Cayo District, the most popular inland destination in Belize. 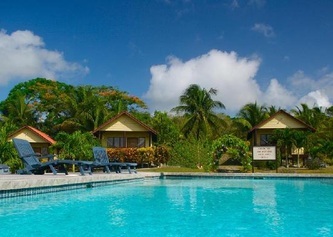 Located near several of Belize's greatest natural attractions, the resort is situated on 100 acres of beautifully landscaped gardens with flowers, fruit trees, coconut palms and rainforest trails. Windy Hill Resort is located in the Cayo District, the most popular inland destination in Belize. We are located near several of Belize's greatest natural attractions including well-known Maya Temples, caves, rainforests, and jungle rivers. Come see for yourself why this is the perfect place for your most memorable vacation ever. 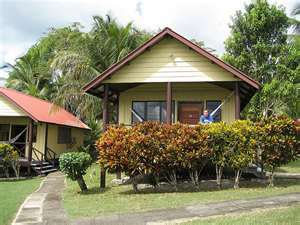 Windy Hill Resort offers 16 air conditioned deluxe cottages and 9 standard rooms with all the modern conveniences in a lush tropical setting. Each cottage is decorated with exotic hardwoods, local art and hand-woven rugs. All the furnishings are custom-made by local craftsmen.